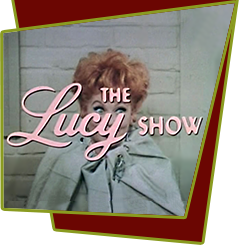 Lucy takes Mr. Mooney to a discount store to buy a bargain-priced fur stole for Mrs. Mooney. They're made an incredible offer by a shady character. Soon, they are falsely arrested for possession of stolen goods. It seems the stole they bought from him turns out to be "hot". They scheme to get Mr. Mooney's money back from the crook. Unfortunately, every attempt made at making things right gets them arrested yet again. Special Notes: By this time in the series, great standup comedians of the day are used but with very unsatisfying results. This episode is no exception as Buddy Hackett is miscast and the script gives him very little to work with.